The largest exhibition of technologies for the textile and garment industry in the CIS, namely the 12th International Central Asian Exhibition CAITME 2018 will be organized on the same dates with the new project. 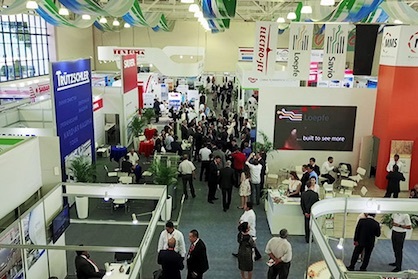 It is expected to host the German National Pavilion, Spanish National Pavilion, large expositions of Italian, Turkish, Chinese, Indian, Swiss South Korean textile machinery manufacturers, totalling over 400 well-known companies and brands. The vast business programme will also include the Tashkent International Textile Conference dedicated to development of the textile industry, the roundtables, B2B and B2G sessions, exhibitors’ presentations and many more. The ITE Group of Companies has extensive experience in holding international specialized exhibitions in Uzbekistan, as well as organizing the leading industry exhibitions, such as MODA UK, Scoop, Jacket Required, and Bubble London in the UK. The Uzbekistan Textile and Garment Industries Association, which unites more than 7,000 members, will contribute to the joint event through a special governmental decision and state support measures. It is expected that this partnership will give a new impetus to attracting professional buyers and fans of environmentally friendly textile products “MADE IN UZBEKISTAN”, foreign investments, new technologies to Uzbekistan, as well as will bring up trade relations to a new level. The event will demonstrate the latest achievements and innovations of the textile business and fashion industry of Uzbek and world leading manufacturers along the entire production chain - from yarn to ready-made clothing. To assist local manufacturers in expanding their exports abroad, the Special Bayer Program will be organized once again within the framework of the exhibition. Over the years, more than 500 major buyers from Russia, Ukraine, Belarus, Kazakhstan, Turkey and other countries participated in this Program.